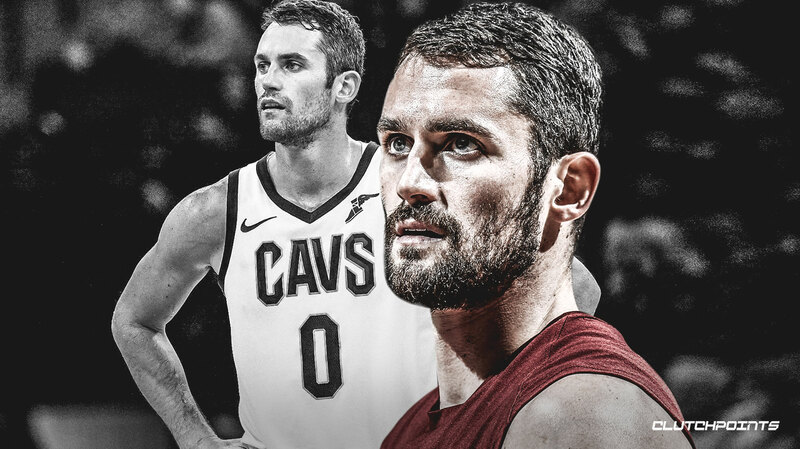 In the midst of an extremely difficult season, Cavs fans still have one thing to look forward to; Cleveland’s 2019 draft pick. That selection currently has the third-best odds behind New York and Phoenix, which gives them a 14% chance at landing the first overall pick, and the opportunity to select the consensus top prospect, Duke super-athlete Zion Williamson. Yet, that glimmer of hope is also a problem; with the way the NBA restructured the draft lottery in order to combat tanking, the Cavaliers are at a disadvantage. Even if they finished with the worst record in the league, the Cavs would have a 69.9% chance of picking outside of the top three. The lottery is now much more of a gamble, and that’s bad news for Cleveland. If they don’t land the first overall selection, things get very interesting, and the Cavaliers should then consider parting with the pick. Williamson is possibly the most hyped prospect to enter the draft since LeBron James all the way back in 2003. He is 6’7″ 280lbs, a true tractor-trailer of a human being. He is incredibly powerful and physical, yet he moves with the speed and agility of a point guard. He is an extremely active defender, he sees the floor well, has a developing three-point shot, and is currently in the middle of one of the most efficient shooting seasons in NCAA history, with his impressive 75% clip from inside the arc. There are other good prospects in this draft class, but they each have their own flaws. R.J. Barrett suffers from tunnel vision with the ball and could very well end up as an Andrew-Wiggins type player. Cam Reddish is incredibly inconsistent and projects as more of a complimentary piece than a franchise player. Ja Morant is not a great three-point shooter and it is difficult to see the Cavaliers spend two consecutive first-round picks on point guards. So, if the Cavs don’t get the first pick, they will find themselves in a dilemma. Do they take a flawed prospect with potential, or do they essentially give up on Collin Sexton as their point guard of the future? The answer is neither; Cleveland should make a trade with the Boston Celtics to inject young talent into the team. Boston has an excellent roster filled with great young talent. They will also own multiple selections in this year’s draft and likely won’t be able to afford to roster each of them. The solution is to package most or all of them in a trade for the Cavs’ pick, and take one of the top prospects rather than three or four good ones. This could become an especially attractive deal for the Celtics to make if Kyrie Irving ends up signing elsewhere, which could happen, although no one knows what Irving is thinking, not even Kyrie himself. As of February 1st, the Celtics own their own pick (24th), the Clippers’ (top 14 protected, 18th), the Grizzlies'(top 8 protected, currently won’t convey), and the more favorable selection of the 76ers and Kings, which right now is Sacramento’s 13th overall. Swapping one pick for four would allow the Cavs to acquire plenty of young talent which would reinvigorate the rebuild. Aside from Collin Sexton, Ante Zizic, and Cedi Osman, Cleveland doesn’t really have any good young talent, and even then those three players aren’t elite prospects. After a trade with the Celtics, the Cavaliers could land any number of players, including De’Andre Hunter, Kevin Porter Jr., and Bol Bol. Is a combination of those and similar players better than getting Williamson? Probably not, but there is certainly an argument for it being better than a Barrett, Reddish, or Morant. If the Cavs front office doesn’t feel like a player at their original pick is worthy of building around, then they shouldn’t build around him. They should build the roster in a different way, increasing the size of their chances of hitting on a player, and wait for the right prospect to hand the team to. Perhaps that player will enter the 2020 draft, or maybe he won’t enter the picture until 2021. Whatever the case may be, Cleveland cannot afford to make the mistake of taking a big name high just for the sake of doing just that. It may sound crazy, but the Cavaliers can learn a thing or two from how the Cleveland Browns rebuilt over the past few seasons. The Browns had a roster filled with average to below average veterans who were overpaid, along with minimal young talent (sound familiar?) They tore down the team to the floorboards, took on bad salary, acquired all of the draft picks they possibly could, and eventually drafted their franchise quarterback, after most of the groundwork had already been laid. The Cavs would do well to follow that rebuild plan, although maybe not to the extreme lengths that the 76ers took a few years ago. In the NBA, quality usually supersedes quantity, but Cleveland may want to look at things a little differently this offseason if they aren’t able to secure Zion Williamson. Trading with the Boston Celtics would add a splash of young talent to a roster that desperately needs it.